Unlike most of the Pokemon Gyms before it, the Fuchsia City Gym will be one of the more difficult Pokemon Gyms to defeat. All of the trainers found within this Gym will own extremely strong Poison Type Pokemon, the same type of Pokemon that don't have too many weaknesses. 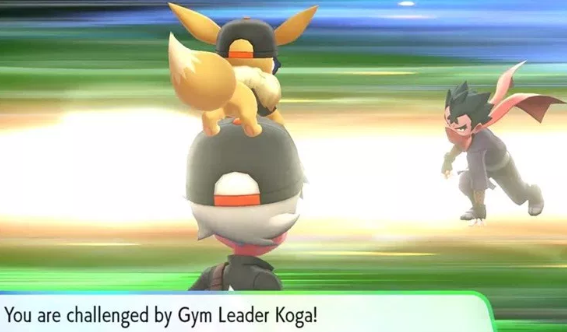 Because of this, you will need to make sure to have plenty of Ground Type Pokemon and Psychic Type Pokemon in your Party when you head to this Pokemon Gym. You should have come across plenty of Ground Types in Mt. Moon, Diglett Cave and Rock Tunnel, and they will come in handy against this Gym. Odds are you haven't seen all that many Psychic Types by this point in the game, but if your were lucky enough to have caught an Abra on Routes 5, 6, 7 or 8, it too will help you out at this Pokemon Gym. Furthermore, if you taught your Eevee Starter Pokemon the Psychic Type Attack the Move Tutor back in Celadon City was willing to teach it, you will have yet another Pokemon that can deal with these pesky Poison Types.